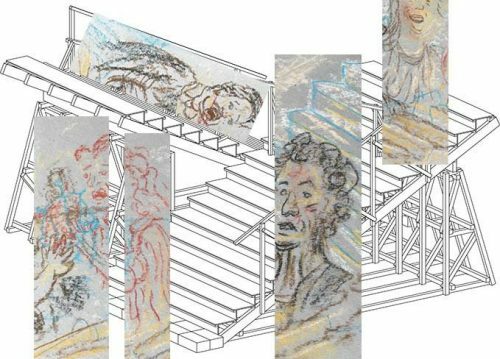 Image by participant Chloe Mooper, collaged from her illustrations and architectural drawings by Apparata. 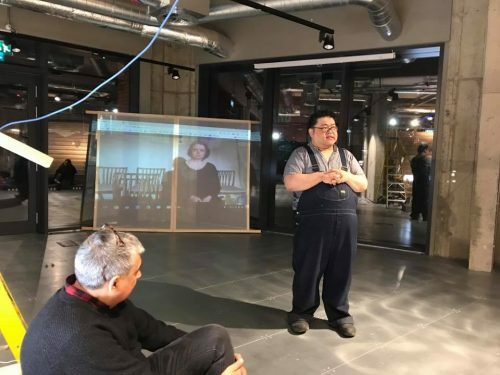 The Art/Law Network website is very excited to serve as space for some of the fantastic discussions and performances of artist Jack Tan’s ‘Law in the Limelight’ series. Replicating the procedures of courtroom participation, Law in the Limelight collaboratively considers the performance and the performativity of justice. 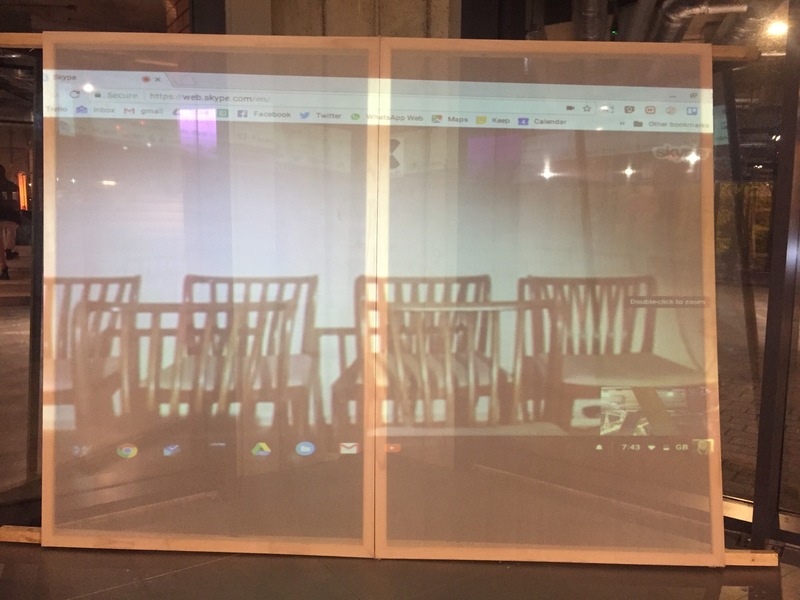 Since September 2017, artists, activists and lawyers have been meeting monthly in Richard Wentworth’s CONCERTINA installation at arebyte to explore the relationship between performance and law in roundtable discussions facilitated by Jack Tan, as part of Live Art Development Agency – LADA‘s artist-led education programme DIY14. 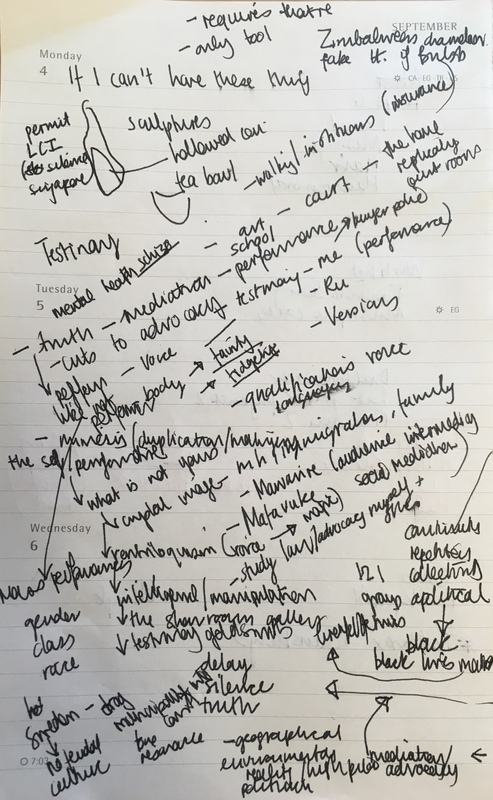 The monthly discussion workshops explore the relationship between performance and law. Using theatre as a starting point and a framework, the alternating perspectives of the participants inform the discussions of legal practice and provide insight into the aesthetic dimensions of law and power. 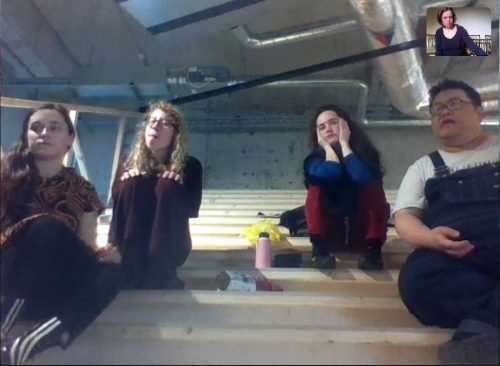 The group considers the visuality, vocality, performativity and spectatorship of justice through co-created and open-ended sessions with input from guest speakers. 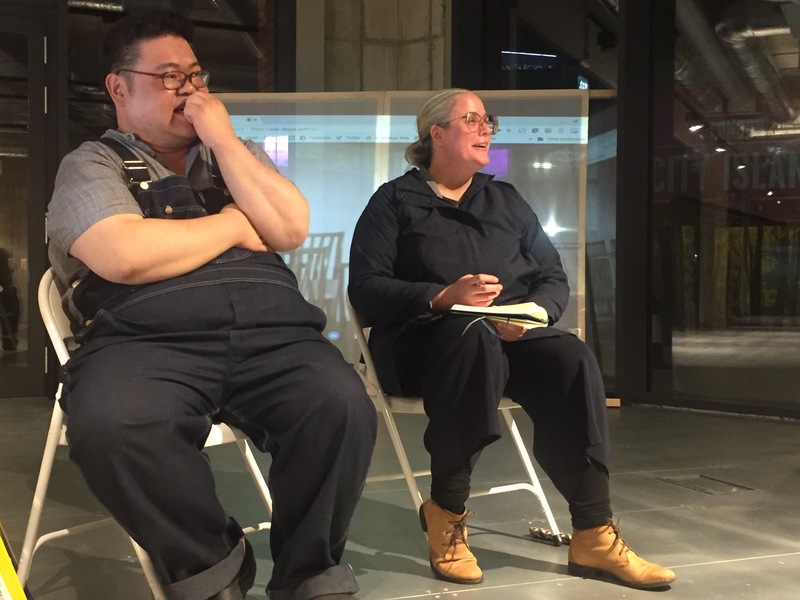 Facilitated by Jack Tan, the sessions aim to create mutual resources and connections that will support participants’ work as artists and/or lawyers. Session 4 – Performance, LAW IN THE LIMELIGHT: by various artists, activists and lawyers including, Chloe Mooper, Will Pham, Martin Sundram, Alissius En Robe, Pernille Lonstrup, Sean Mulcahy, Jack Tan. 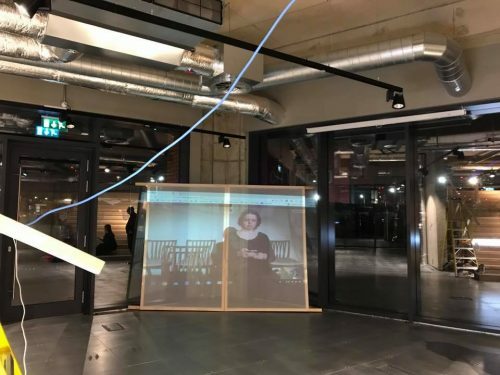 It took place on Saturday 6 January 2018, at arebyte, London City Island. This session of LAW IN THE LIMELIGHT was an extension of these discussions except that the group attempted to explore via performance or action, and to draw out some of the salient points from the roundtables such as authenticity, judgment and objecthood in court with the aim of providing insight into the aesthetic dimensions of law and power. The performers decided to put verbal communication on trial, where legal aesthetics were put into action in front of an audience. 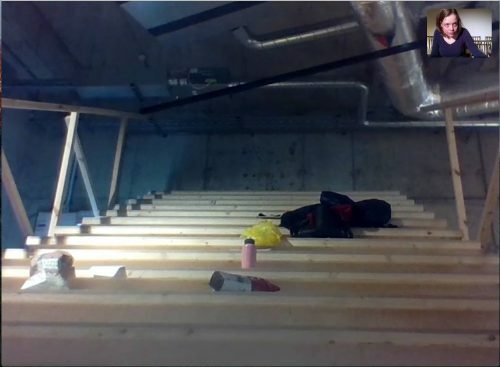 Interpretations of ‘trying and testing’ were expressed through knocking on the structures of the gallery, looking around the audience as representing ‘investigations’ and bowing silently to those watching, as well as walls and other objects within the supposed court, as forms of procedure, tradition and the bowing to objects as the acknowledgement of rights beyond those of humans. The audience volunteered an excellent judge, where the legal arguments for and against verbal communication were presented. 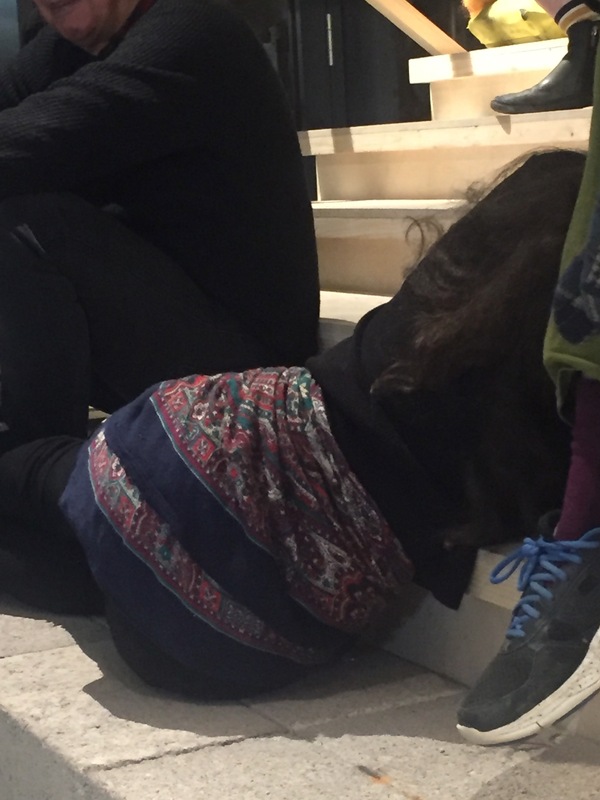 Actor Alissius used touch and intimacy with the audience, by silently placing herself and lying in between people, to bear witness to the usefulness of non-verbal communication. The verdict was made silently using signs and semaphores. 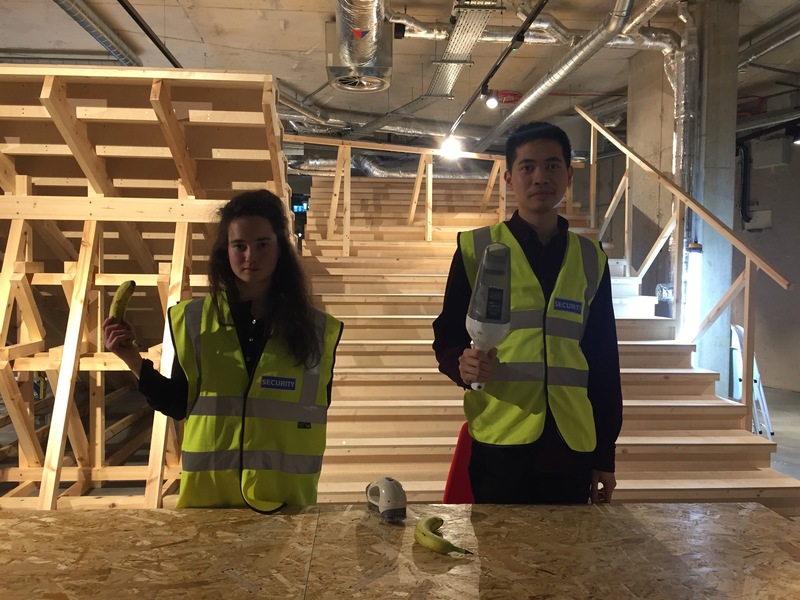 Security – banana bag check and car hoover metal detector. The case for non-verbal communication. Clerk (left), helping the judge (right), make decisions. Notes from participants. showing some of the connotations and assumptions of law. 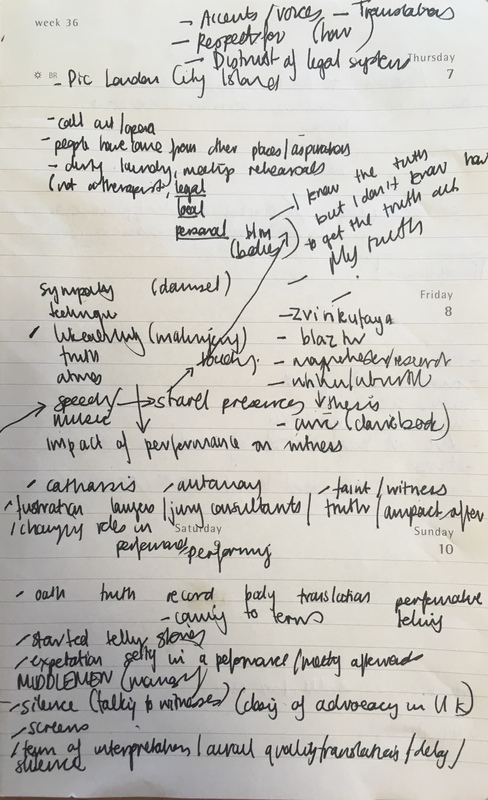 Notes from participants, demonstrating the key ways we understand law to be performed through truth, theatre and testimony. 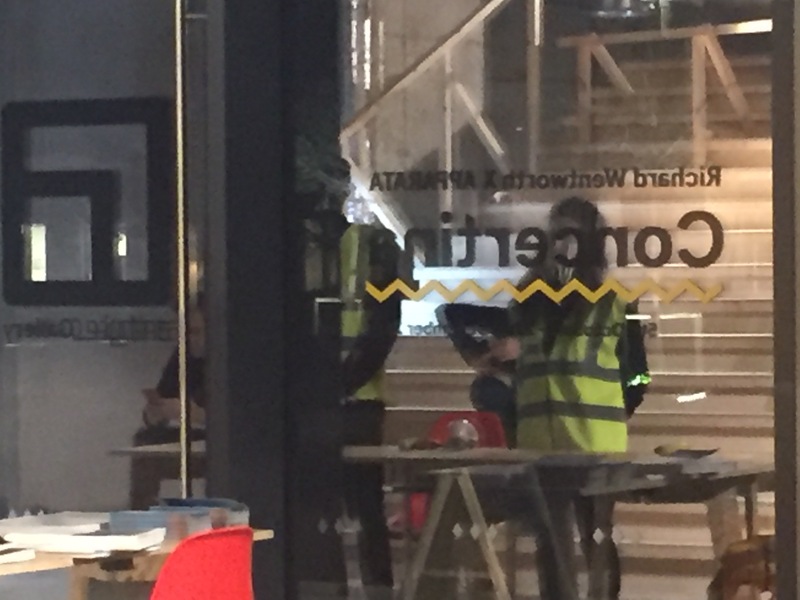 LAW IN THE LIMELIGHT was part of the Live Art Development Agency’s DIY14 Programme and was supported by Artsadmin and arebyte.